Available in a huge range of colours, patterns and textures. Personalize with trimmings of your choice. Custom make in your own fabric to match your décor. Flame retardant and sunscreen fabrics available for contract use. Choose a chain mechanism , soft raise option , or spring mechanism. All fabrics available for tilt and turn or perfect fit systems. Ask about our fabulously affordable battery operated, rechargable moterised blinds. 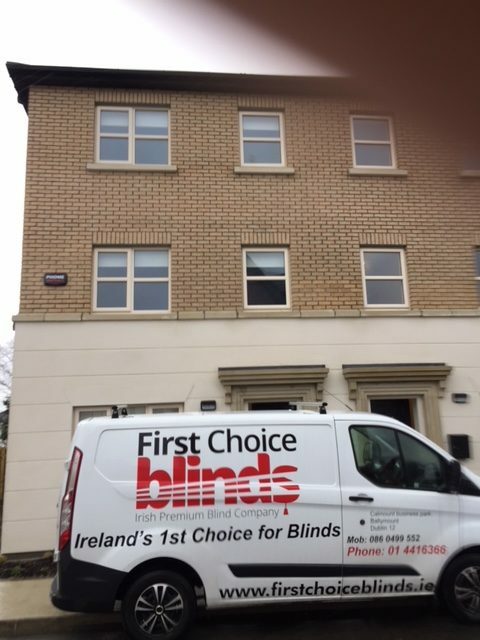 We measure and fit blinds In Dublin daily so just call us to get an apppointment . Your blind solution is most likely here . 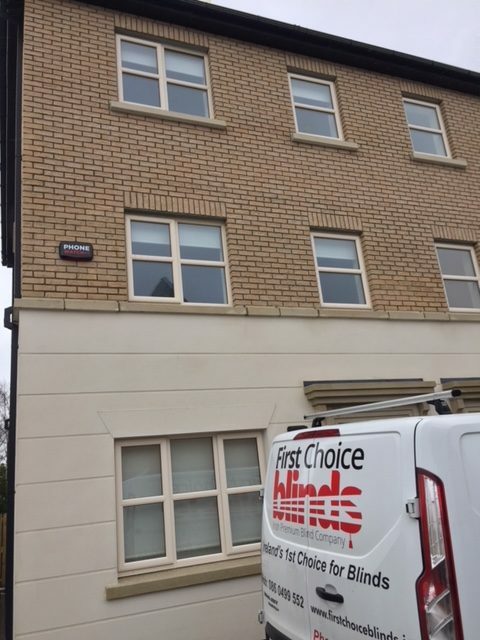 Roller blinds are a timeless favourite and often the first choice for homes. Our roller blinds are available in hundreds of different patterns and colours making it easy to find the right style for your room. Roller blinds are a great choice if you want a window covering that has simple lines. This is because they fit very closely to the window and do not have a lot of excess fabric. Our roller blinds provide a simple and cost effective solution for controlling light and glare. If you are after a way of screening the sun’s glare you can use our sunscreen fabric. These let in light, while screening out glare and allow you to still see outside. If you want complete privacy and darkness, a blackout fabric in your choice of colour is ideal. For something in between, a standard fabric is perfect. Roller blinds can be effortlessly raised or lowered by either sidewinder chain drive or traditional spring. Screen blinds add a modern touch to buildings. Technical fabrics intended for these systems ensure maximum protection against sun rays, heat penetration and also ensure an optimum level of day light inside. Thanks to the material they are made from – glass fiber, PVC, polyester – they are resistant to climate change and therefore are suitable for indoor use as well as for outdoor use. The main advantages of screen blinds are the partial light penetration and variability. 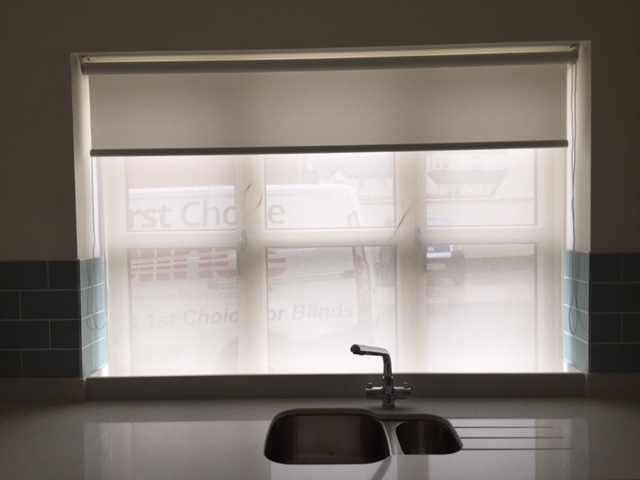 These types of roller blinds bring shade without detracting from their appearance on the outside however, also limit the view from the outside in and therefore maintain privacy. Screen blinds create optimal temperature conditions indoors and are an excellent accessory concept to passive buildings. • Increased safety around young children. Please note that this is not a showroom, admin office only.